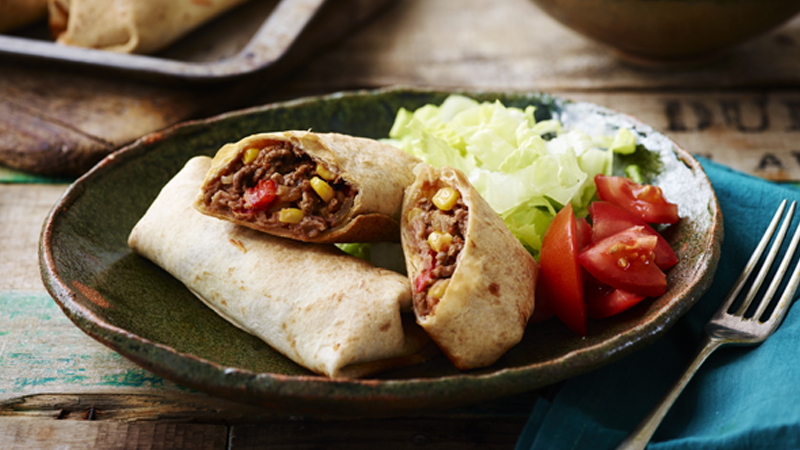 Baked chimichangas can still be crisp, golden and delicious! 1. Preheat the oven to 180 °C (160 °C for fan assisted ovens), gas mark 4. Heat the oil in a large frying pan over a high heat and cook the onion and pepper for 5 minutes. Add in the beef mince and continue to cook for 5 minutes, until just browned. Add in the garlic, chilli powder, salt and cumin and cook for 2 minutes. Stir in the salsa with the sweet corn. 2. Divide the refried beans between the tortillas and spread down the centre. Top with the beef mixture and sprinkle with cheese. 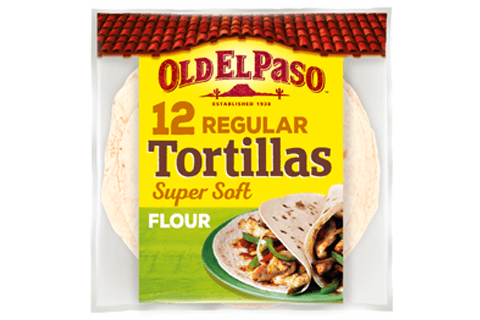 Fold the sides of each tortilla towards the center and fold up the ends. Place, seam side down, on a baking tray. Brush each filled tortilla with the butter and cook for 20 to 25 minutes or until golden brown and thoroughly heated. Serve with tomatoes and lettuce. Serve with guacamole, soured cream and salsa. Serve alongside rice for a more filling meal.